The festive air is flooding into London as crowds flock to this year’s Olympics and Jubilee. Hotels and flights are swelling up to no vacancy, and all the UK is busy with preparations. For those of us abroad, we can at least enjoy the festivities from a stress-free distance. 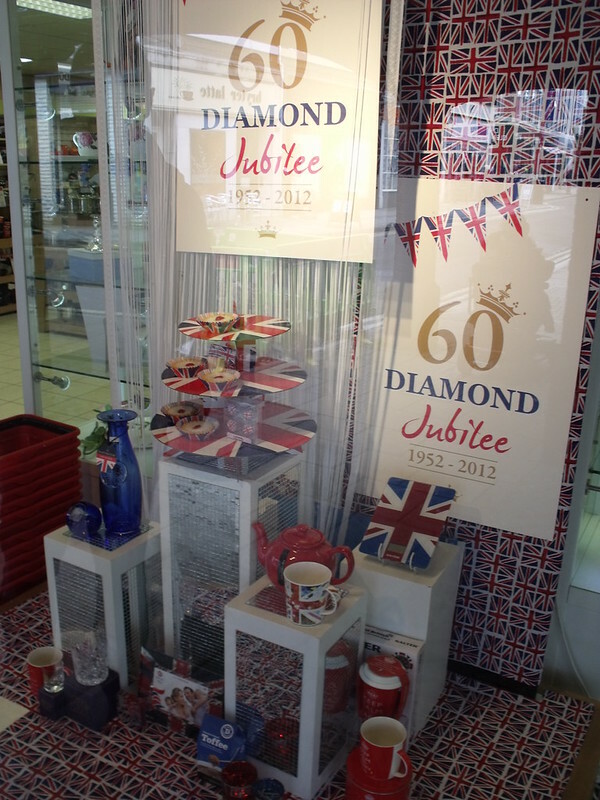 But what is a Diamond Jubilee and how will the Queen be celebrating? The practice of Jubilees dates back to antiquity, when Hebrews observed a year of rest and universal pardon every 50 years. It was eventually incorporated into the Roman Empire and Christianity as a time of remission and holy pilgrimage. Elizabeth II is the only British monarch to celebrate her Diamond Jubilee with the exception of Queen Victoria in 1897. It marks 60 years into her reign. Following tradition, festivities will be held in London and throughout the Commonwealth. The Royal Mint has issued a £5 coin with new portraits of the queen, to be minted for only one year. Fun Fact: The flambéed dessert Cherries Jubilee is said to have been invented by Auguste Escoffier who prepared the dish for Queen Victoria’s Jubilee celebration. 2 June: The Queen will kick off her celebrations by attending the Epsom Downs’ Investec Derby Festival, featuring horse races and the greatest flat race in the world. 3 June: A flotilla of one thousand boats will accompany the Queen’s ship in the Thames Diamond Jubilee Pageant, which floats down the Thames River. Tickets are still available to the festival in Battersea Park—a great vantage point from which to view the on-sea pageant. 4 June: The Queen and some of her family will attend a concert at the Buckingham Palace, broadcasted live on BBC One, Radio 2 and on big screens across London. Later that night, thousands of beacons will be lit around the UK and the greater Commonwealth. 5 June: The Queen will attend a national service of thanksgiving at St. Paul’s Cathedral. She and her family will continue via processional route from Westminster Hall to Buckingham Palace. Are you celebrating the Jubilee? Comment below and tell us how!